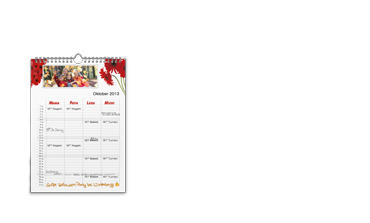 Our high-quality printed A3 appointment calendar is the best choice to clearly record important events for all your family members. Ideal to see the whole family's appointments at a glance! 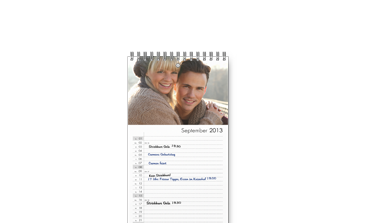 Our high-quality printed family calendar with its multi-column view offers an ideal basis for your schedule. 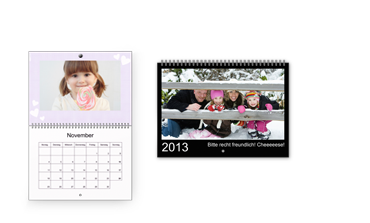 The perfect companion to record all your family's important dates with plenty of room for your photos. 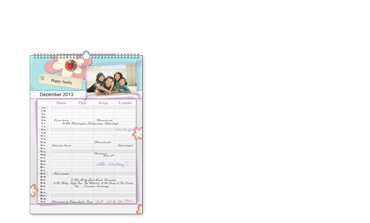 With plenty of space for notes, this calendar will remind you of all the important birthdays, anniversaries or events. Figures from a variety of layouts to your personal favorites.